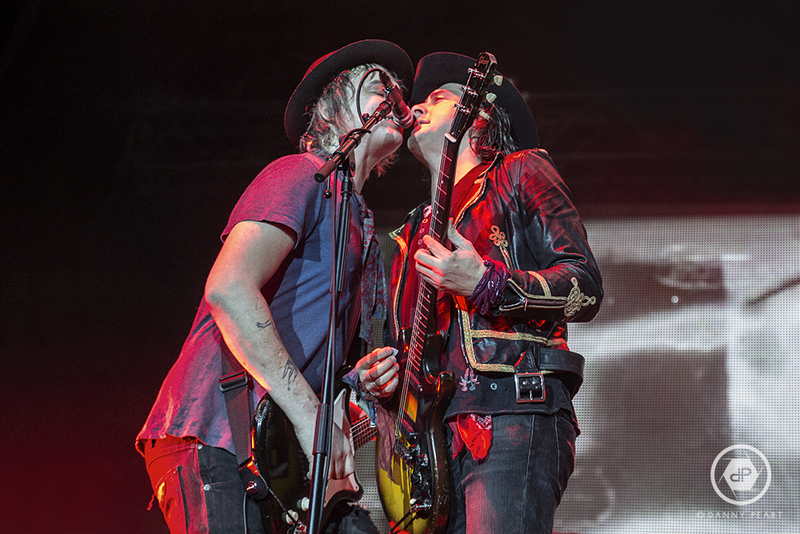 You are at:Home»Live Reviews»The Libertines bring Anthems for Doomed Youth to Manchester Arena! 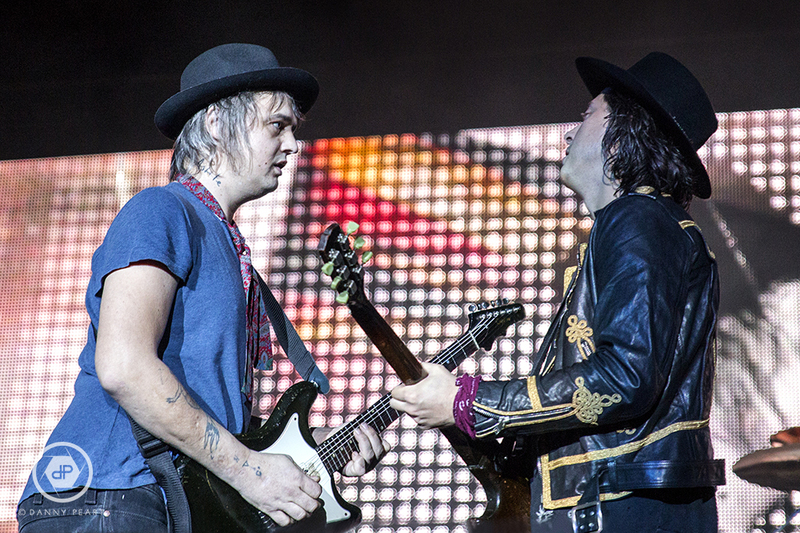 The Libertines bring Anthems for Doomed Youth to Manchester Arena! It’s not a normal nights business at Manchester Arena tonight, as extra security and police with sniffer dogs cover all entrances to the arena as a rowdy crowd, many who have already had a bit to drink (and likely much more) flood in chanting away. So it wouldn’t be a surprise to find out tonight is the night that The Libertines are back in Manchester to take on over 16,000 excitable fans. Before we get to find out what The Libertines have in store for us tonight, we are greeted with Reverend And The Makers (7), who take to the stage for their first support show of the tour looking geared up and ready to get the early crowd warmed up. The drum roll intro to ‘Amsterdam’ pounds out as the front-man Jon McClure aka ‘The Reverend’ walks out to cheers as he introduces himself by kicking off the set with ‘Open Your Window’, which is the perfect start to grab everyones attention. The upbeat chorus has the crowd waving and singing along without the need of much persuasion. 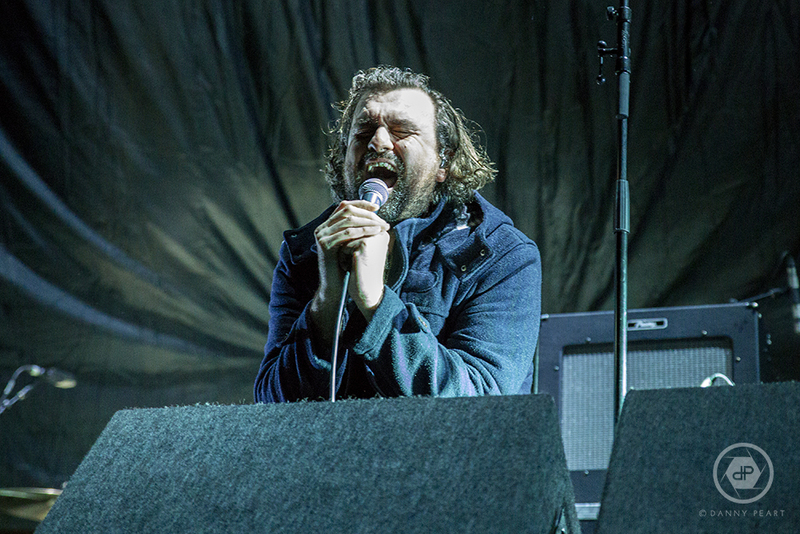 This is the first time we’ve seen Reverend and the Makers so we wasn’t quite sure what to expect of their live set, but they were more than impressive. Full of energy, and constantly keeping the crowd involved throughout the set, they set the bar high from the very start. ‘Shine A Light’ and ‘Miss Brown’ provide bouncy infectious choruses that you cant help but get involved to, and the fantastic ‘Heavyweight Champion Of The World’ has even the people unfamiliar with Reverend singing and jumping along to the set highlight, proving why it brought the band a top 10 single back in 2007. The Sheffield rockers even managed to boast some solid newer material from their most recent album ‘Mirrors’ in a short set with ‘Makin’ Babies’ and the slick ‘Black Widow’ which provide some diversity. But before they leave the stage, the contagious ‘Silence is Talking’ bumps things up a notch leaving latecomers wishing they had arrived a little earlier. A solid performance from Reverend which leaves the crowd alert and ready for more, and you wouldn’t expect anything less from a band who have played their fair share of arenas supporting the likes of Oasis, making them the perfect band to kick off the night. 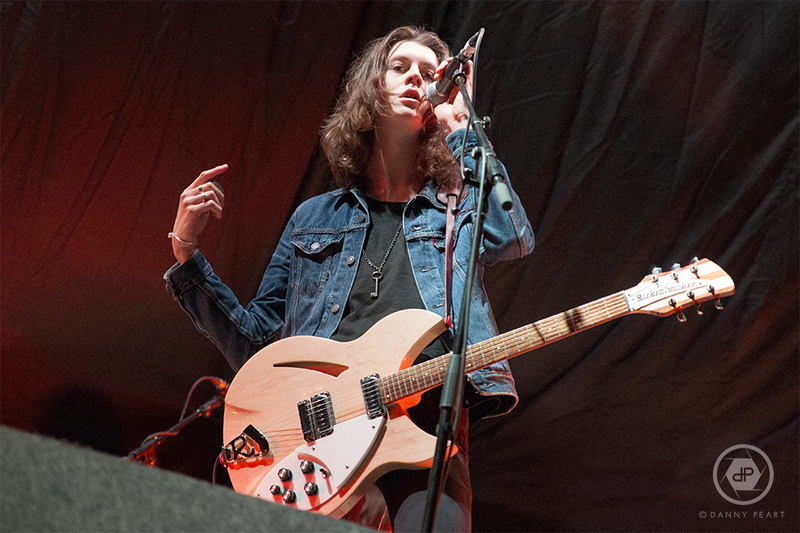 Next up to take on the crowd is Blossoms (6) who we’ve heard a lot about recently, and deemed as part of Manchester’s psychedelic revival scene, (or as they prefer to be labeled as ‘ethereal nostalgic sonance‘), where better to see them in action than on the big stage on their own turf of Manchester. With influences such as Arctic Monkeys and Oasis, this is the bands perfect chance to catch the eye of The Libertines fans, and win a few new followers. With only around an albums worth of material to choose from, a short seven-song set is enough to flaunt their music, and opener ‘Cut Me And I’ll Bleed’ provides an interesting start to the set with it’s chilled vocals from front-man Tom Ogden and catchy lead guitar work and solo from Josh Dewhurst. ‘Smoke’ follows with its eerie intro and drum driven verse progressing to another catchy chorus. Blossoms sound fantastic, tight as a unit and deliver their music confidently, but feel a little tame at times as they aren’t quite the over enthusiastic type of band to be moving around the stage, or getting the crowd involved and overly excited. However the set closes with the fantastic ‘Charlemagne’ and ‘Blow’ which seem to both be game changers to the set. We’re still not sure what these guys have in their locker just yet, which is enough for us to be keeping a close eye on the rise of the hotly tipped Blossoms this year. We’re going to be quite honest, this is only the second time we have seen The Libertines (8) and the last time it wasn’t great to say the least. Sketchy guitar playing and slurred out lyrics from both Pete Doherty and Carl Barat, we found ourselves questioning how they managed to top the Reading & Leeds festival bill on multiple occasions, but tonight we’re hoping to find the answer. 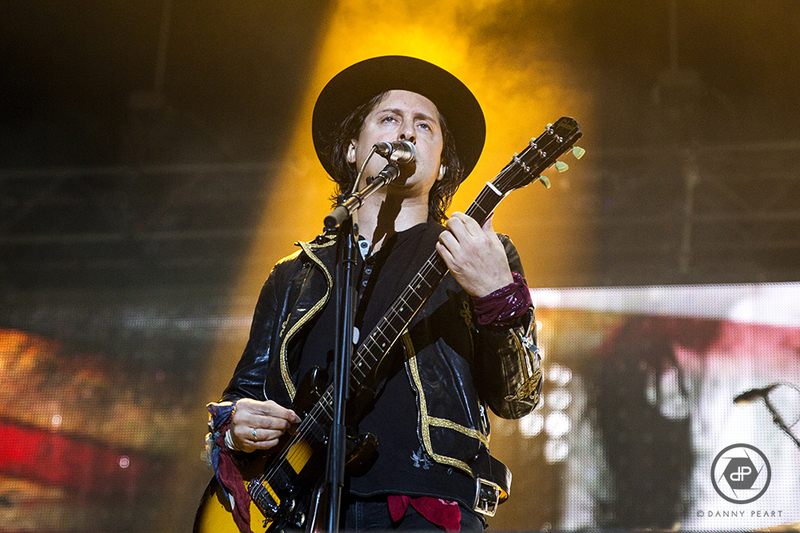 We don’t have to wait too long before the London lads take to the stage, as front-man Carl Barat and co. stroll out beneath bouncing strobe lights to ‘Barbarians’, the opening track from the new album ‘Anthems For Doomed Youth’. They start the night off on the front foot with some handy guitar work between the front-man and guitarist/vocalist Pete Doherty, who both look to be on form from the start, which suddenly fills us with optimism that tonight maybe The Libertines will finally step up to the plate! The energetic ‘Delaney’ follows closely and the crowd is swaying vigorously across the floor with everyone surging forward to get as close to the action as possible. Even a few early crowd surfers who have eagerly been waiting their moment, are up to glide over the crowd to the stage front beneath the London rockers. Pete and Carl draw themselves together sharing a microphone in true Libertines style for the immense chorus. From here on it seems The Libertines have set the pace of tonight’s show, and their setlist wavers through both the bands early albums ‘Up The Racket’ and the self titled ‘The Libertines’, with their recent 2015 release of ‘Anthems For Doomed Youth’ scattered in between, keeping the set alive for both new and old fans alike. All eyes may be on Pete and Carl, but you can’t help but notice at times the seamless performance from both bassist John Hassall and drummer Gary Powell who hold together each song tightly, even as the front two guitarists get a little looser throughout the show as barmaids in the trademark Libertines red jackets keep drifting on stage between songs, to greet the lads with a tray of alcohol which they cant help but gratefully accept every time she appears. 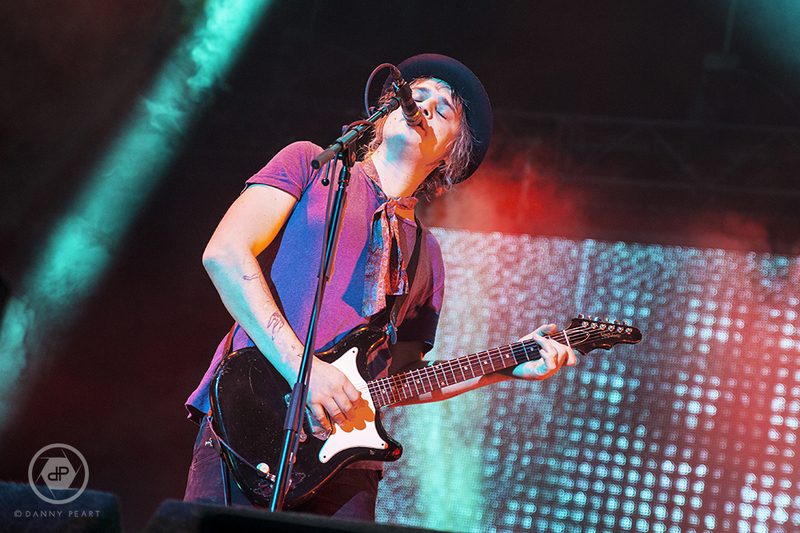 From the new album songs such as ‘Gunga Din’ and ‘Fame and Fortune’ provide the sing along moments, but no more so than the latest single ‘You’re My Waterloo’ which finds the front-man take to the piano side stage decorated proudly with the British flag, as Pete Doherty takes center stage and lead vocal duties. The crowd help lead Pete through a moving performance whilst swaying along on their friend’s shoulders creating a typically special arena moment. However It’s the golden oldies, which turn a standard show into something really special, ‘Can’t Stand Me Now’ and ‘Time For Heroes’ create an atmosphere any band would dream of crafting in such a venue. An encore featuring ‘What A Waster’ and the hit single ‘Don’t Look Back In To The Sun’ is enough to drive the mob of fans on the floor to maximum ecstasy, with crowd surfers and mosh pits breaking out. Even a flare is sparked up to close the night with the British blue and red smoke filling up the arena, as The Libertines close a spectacular performance on their standards with a moment that many won’t forget. For a band who thrived of playing rough-and-ready Rock and Roll in pop up gigs at houses in London Camden town, they certainly rocketed up the venues maybe a little too quickly to start with, but It seems that they have finally reached the level we expect from them. Have The Libertines finally pulled it together? Based on tonight’s performance it would certainly seem so. lets just hope they can keep it up for the foreseeable future! 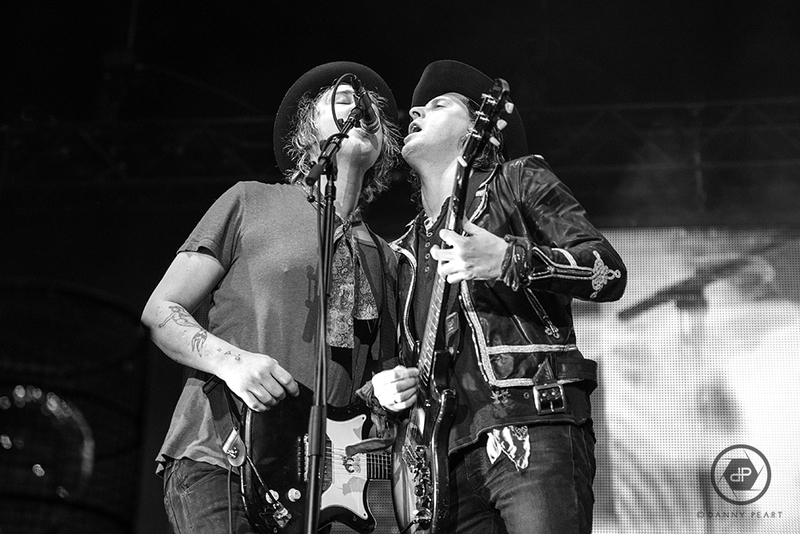 Check out our Live in Photos section for more live shots from this show of The Libertines!